Menu > Extras > System > "Enable Privilege" And please disable it. ... Q-Dir List-View on Windows 10! 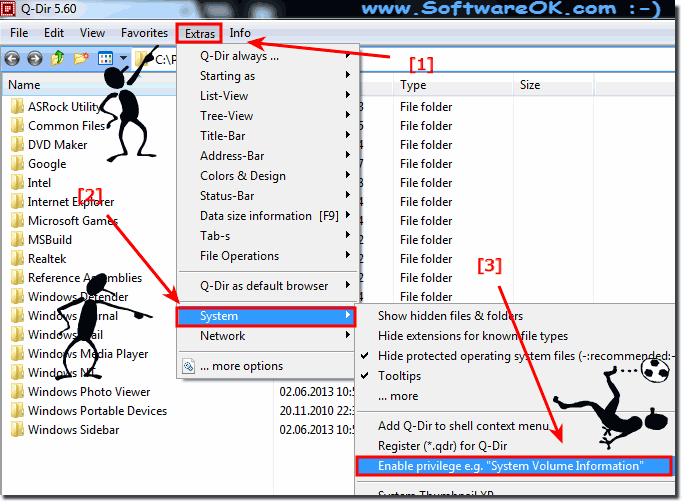 Q-DIR - FAQ-68: Problems when deleting, and listing on the network and NTFS drives? Start with a favorite, without to register *.qdr? Change the address bar in Explorer-View to Classic or modern Windows 10! Could You help me and explain how to associate/open/edit a given file on the server using a given programme. I am trying to associate it using "More Options" -> Programs or ->Associate and it doesn't work. When I use Open option or double click on the file, always empty/new file opens. I am having trouble moving and copying with NTFS disks.